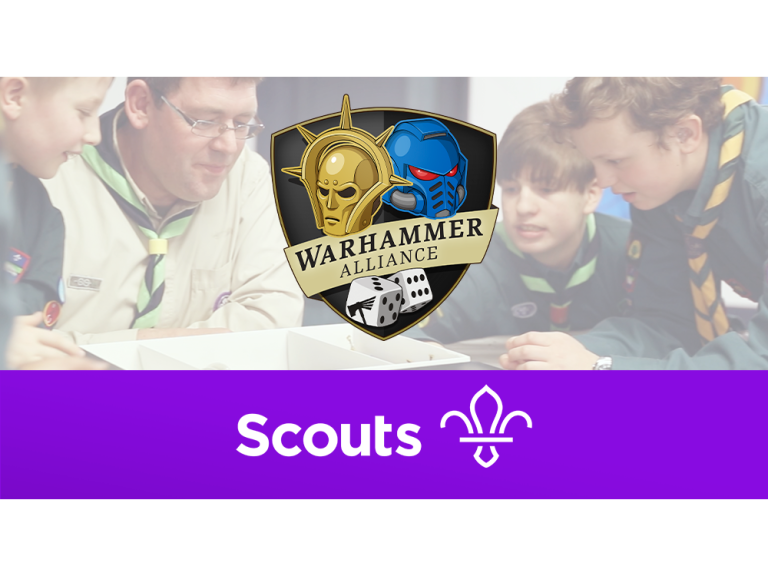 We’ve got some incredible news – today we are excited to reveal that Warhammer is now an official partner to the Scouts in the UK! * Yep, that’s right! We have joined forces to sponsor the Model Maker Activity Badge, and Scouts all across the UK will be able to build and paint their own Space Marine and Stormcast Eternal and learn skills in the process! The Scouts is a fantastic movement focusing on bringing young people together as a community and teaching them a variety of skills for life – a principle that’s also an integral part of the Warhammer hobby. Many of us have strong ties to the Scouts, so we couldn’t be happier to announce this partnership! The aptly-named Warhammer Alliance activity pack includes everything you’ll need to get Scouts working towards their Model Maker Activity Badge. Here’s what you’ll find in the pack. A part of this fantastic collaboration, Scout Leaders can choose to book a group visit to any of more than 100 accredited stores in the UK for an exclusive model maker activity session. We also provide complete session plans and a helpful how-to-build video for those who’d like to run the activity in their meeting place. If you’re a Scout Leader or school teacher in the UK and would like to learn more about the Warhammer Alliance initiative, visit our website on warhammer-alliance.com to read all about it and apply for a free pack for your Scout group or school club. * At the moment, the Warhammer Alliance Scouts offer is only available in the UK.